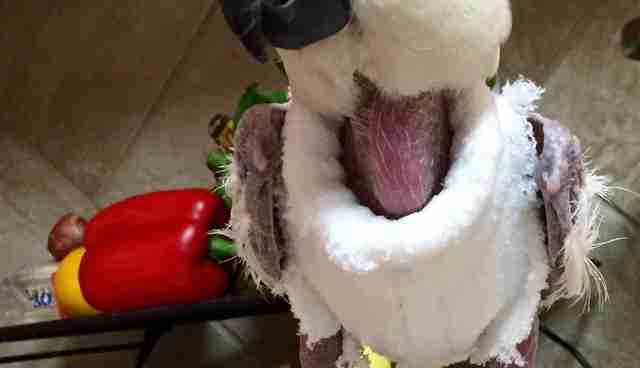 Javi destroyed all her feathers while living in conditions of deprivation and neglect. 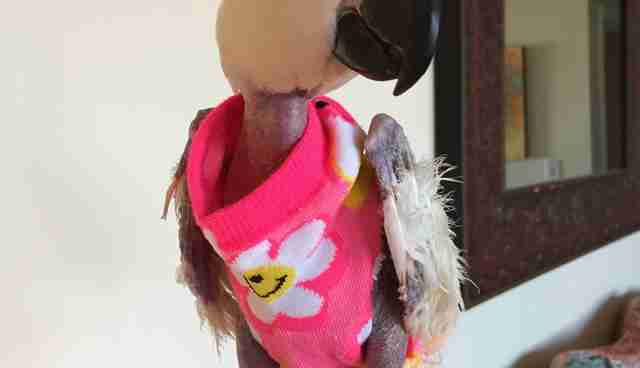 But these days, since being rescued by Tallgrass Parrot Sanctuary, she's finding the warmth and safety she needed all along - as well as a growing wardrobe full of sweaters for her bare little body. 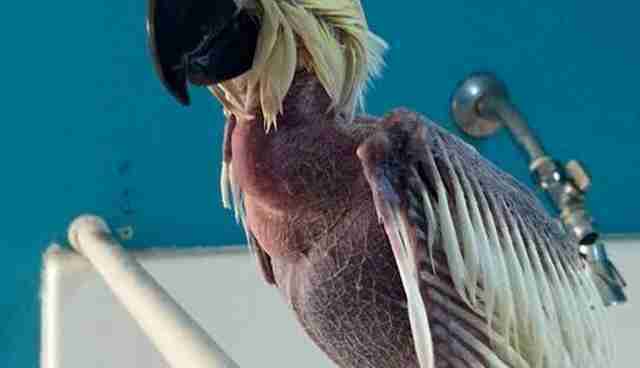 "Since Javi arrived here at the sanctuary in September, she's come a long way," Kail Marie, Tallgrass Parrot Sanctuary director and co-founder, told The Dodo. 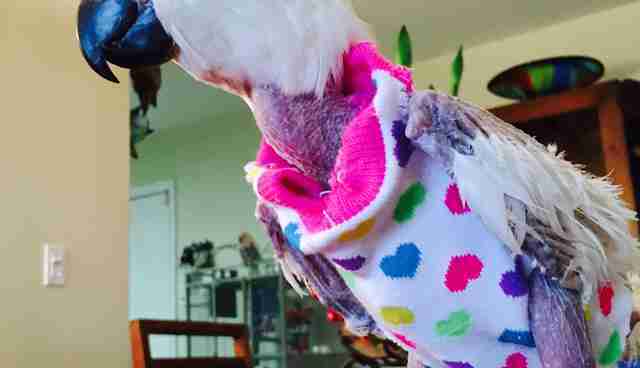 "She has 24/7 attention now, either from her human 'flock' or from her cockatoo friend, Sassy." When Javi first arrived at the sanctuary, she bore the marks of her neglect. But soon Javi learned to trust people again. "She is never locked in a cage and eats a healthy, varied diet," Marie said. 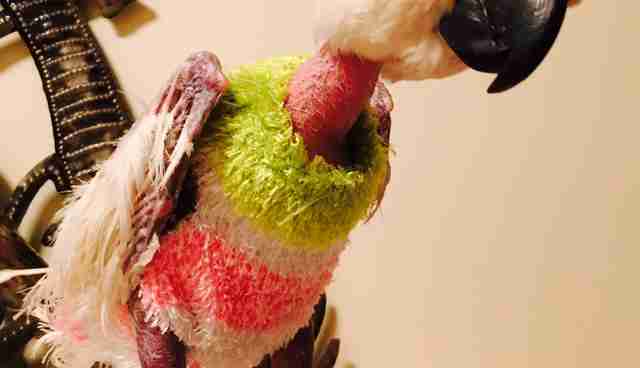 "While we do not know yet if she will ever allow her feathers to regrow," Marie added, "we know that she stays happy and warm in her numerous sweaters." Warm, certainly - and she looks fabulous, to boot. 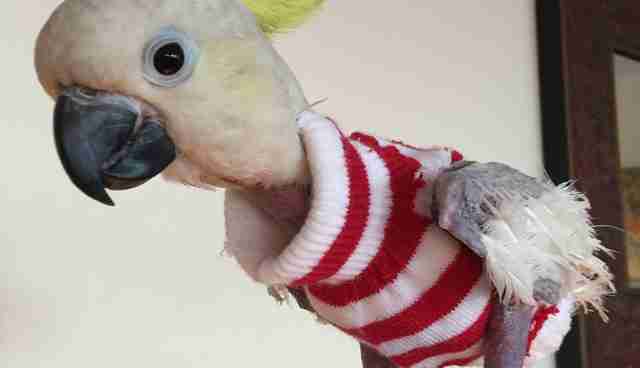 Click here to learn more about Tallgrass Parrot Sanctuary and how you can help.